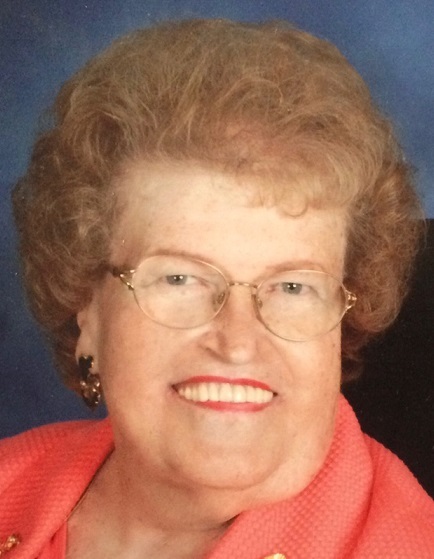 Helen Frances (Hauptman) Hayes, 84, of Kansas City North, passed away peacefully on September 25, 2018, at North Kansas City Hospital with loved ones at her side. A service celebrating her life will be held at 6:00 pm Friday, September 28, at Park Lawn Northland Chapel, I-35 at State Route 291, Liberty, MO. In lieu of flowers, memorials are suggested to NorthCare Hospice House. Helen was born July 17, 1934, in Lincoln, NE, the only child of Frank and Clara (Dodge) Hauptman. She grew up there and graduated from Lincoln High School. Helen was united in marriage to LeRoy Ronald Hayes on November 4, 1954, in Long Beach, CA where he was serving in the U.S. Marine Corps. Following the births of their four children, LeRoy's career with TWA took them from California to Okinawa, Phoenix and finally to Kansas City in 1983. Along with being a mother and grandmother, Helen always found time to be active in her community. In her younger days, she was a PTA president, Sweet Adeline, and a longtime member of the DAR where she served as a regent. She was also a member of Northgate Baptist Church, served with its Summer Bible school, choir, and various other church activities. She was an active member of the North Kansas City Hospital Auxiliary. Her family members, friends and even strangers will remember Helen's sweet smile and kind personality. Survivors include her husband of 63+ years, LeRoy; children, Loren Hayes, Terry Hayes (Linda), Roger Hayes and Cheryl Danks (Tom); grandchildren, Charles, James, Teresa, KatieLynn and JulieAnn; and seven great grandchildren, all who will miss her greatly. Wir sind traurig zu hören, dass Helen verstorben ist. Seit 2010 wissen wir von der Familie Hayes, nachdem LeRoy nach seinen deutschen Vorfahren suchte und uns gefunden hat. Wir trafen Helen und LeRoy erstmals 2011 in Hudson/IA bei der dortigen Familie, nachkommen der Hansen - Meinerts. Wir denken an Helen. We are sad to hear that Helen has died. Since 2010, we know about the Hayes family, after LeRoy looked for his German ancestors and found us. 2001 we met Helen and LeRoy for the first time in Hudson / IA with the local family, descendants of Hansen - Meinerts. We think of Helen.